There Was A Light: The Cosmic History of Chris Bell and the Rise of BIG STAR by Rich Tupica (Hozac Books) $37.99 – 400+ pages, stocked with a wealth of previously-unseen color photos, personal ephemera from the Bell family’s archive, as well as everything Ardent Studios could jam in, plus Bell’s childhood bands, his post-Big Star solo work & more! Meal Based Artist Residency Program by Marc Fischer (Public Collectors) $8 – Marc takes visiting artists to Joong Boo Market in Chicago’s Avondale neighborhood. Here they share their reflections. 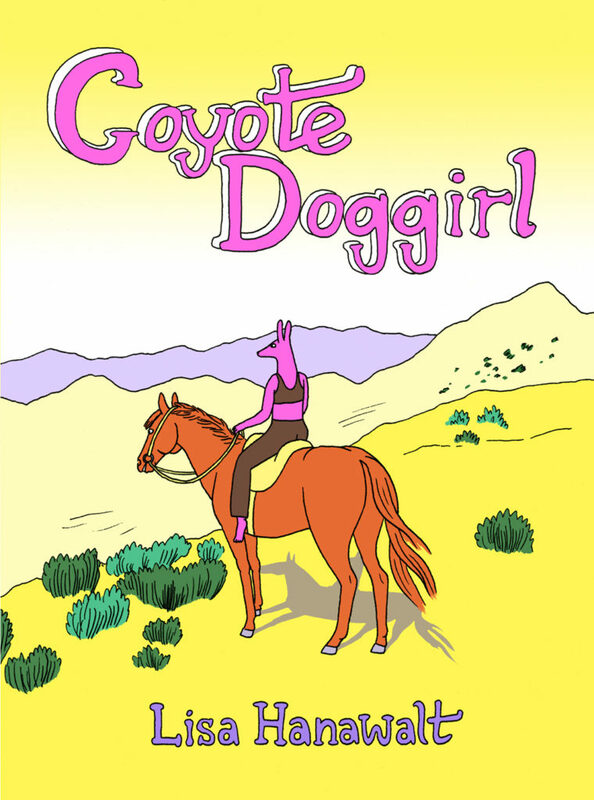 Coyote Doggirl by Lisa Hanawalt (D+Q) $22.95 – Half dog, half coyote, all cowgirl, on the run from a trio of vengeful bad dogs. And also, there are homemade crop tops. The Agency by Katie Skelly (Fantagraphics Underground) $25 – A collection strange and arcane medical images collected as a webcomic: horny skeletons, yonic portals, thrill-seeking vegetation, and multitudinous wry glances and stammered phrases! Surrealists and Outsiders 2018: I Wagered Deep on the Run of Six Rats to See Which Would Catch the First Fire, ed by RW Spryszak $10 – Fiction and poetry anthology. Book Smarts and Tender Hearts: A Novel by Shelley Pearson $12.99 – Hannah discovers zines at 16 and makes some new friends who help her figure out how to balance her book smarts and her heart. New Micro: Exceptionally Short Fiction, editor James Thomas $15.95 – 35 stories by 89 authors of microfiction, stories of no more than 300 words. McSweeney’s 53: Includes 8 Inflatable Balloons $28 – Yes, there’s a book but there’s also stories printed on the balloons you have to blow up to read. Tags: New Stuff This Week, new-stuff.